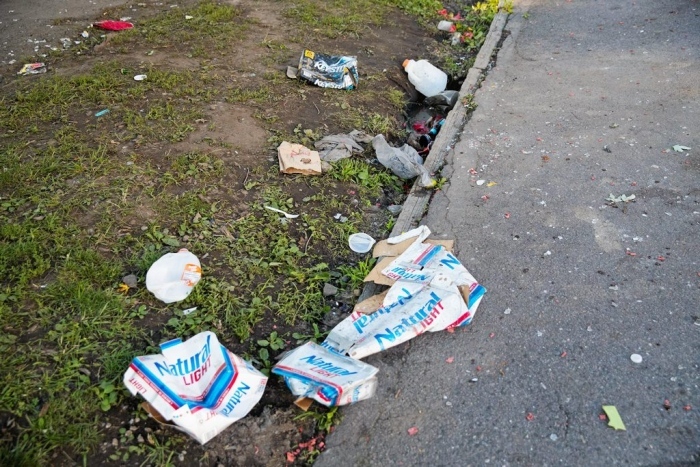 The borough needs to find a way to clean up some problematic rental properties around town. Gene Allison, council vice president, said he has personally seen piling garbage and unkempt rental properties throughout the borough. Matt Kovacik, a borough resident and landlord, said he would like to see the town clean up some of its rentals. “I think we have a common thread in the dilapidated and dangerous units that are in town,” he said. Kovacik said he had been touring some of the properties as a potential buyer, and he was shocked at what he saw. Allison said most landlords who live in the borough are not the problem. He said most deficient rental properties are those owned by landlords who do not live in the borough. “Generally speaking, our local landlords are much better at taking care of their properties,” Allison said. Allison said more fines, more liens and stricter enforcement could be in the future, but discussion and communication will be important moving forward. Bonnie Davis, who is not a borough resident, is a longtime landlord with properties in Slippery Rock. She agreed that a full-time code enforcement officer or an additional part-time officer who could focus on garbage would help the borough. She said it would help to legitimize recent increases to license fees paid by landlords, specifically biennial inspection fees that were raised this year. License fees for rentals with four or more units were $75 for the inspection of one of four units, the results of which would apply to the remaining three. Now, the fee has been dropped to $50 per unit, but every unit must be inspected individually. For properties with less than four units, which Davis said has affected her recently, it costs $75 per unit, and every unit must be inspected too. When asked by Councilman Tom McPherson how the fee increases were determined, Lucinda Lipko said the previous council received advisement from code enforcement officials, who molded the fees after other municipalities of a similar nature. Itzi Meztli, a council member and garbage committee chairman, said he has opposed the fee increase since it was introduced by the previous council. “We have inflated inspection fees,” he said. However, Meztli said the inspection of every unit may actually be good because it would find more problems and deficiencies in the rentals. Council has added further discussion items on the agenda for its next meeting Tuesday. Allison said the borough has a history of issues with rental properties, but it also relies on landlords to house college students. He said it is time to find ways to improve the situation.